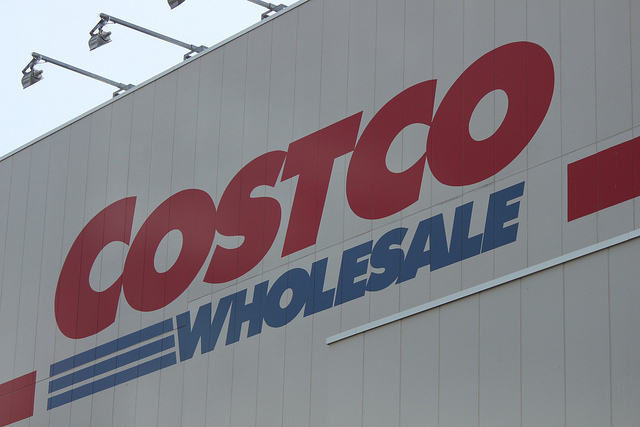 Have you ever stepped foot into a Costco? It is like no other store you have ever walked into. First of all, it is just massive. It might take you a little while just to get your bearings in the store. Secondly, they offer many products that are only sold in bulk that are big enough to feed a small army. As you start walking up and down the oversized aisle ways, you’ll likely see a carton of tissues that contains 10 boxes all sold as one unit. The same thing goes for crackers, cereal, and fruit snacks. There are many units boxed as one, and the premise is basically that the more you buy, the better deal you are going to get. So, if you are buying a carton of 10 boxes of tissues, you would expect to pay less per box than you would if you were buying a single box somewhere else; perhaps for $1.29 vs. $1.99. While many people think that they are getting deals on everything in the store, this just isn’t the case. Perhaps you buy that big carton of tissues for $12.99 and think you are getting a deal, but in reality Target might have a sale on their tissues and you could buy a single box for only $0.79. The point is, watch the per unit costs to make sure you’re really saving money by buying the item at Costco. Just because you are shopping at Costco does not mean that you will always get the best price on your goods. Do your due diligence and look at sale papers for other stores. If you don’t, then it’s possible you will not save money at Costco. Sure, it’s nice to walk around and try free samples, but there is a reason those nice ladies are there feeding you. They want to tempt you into buying those foods that you loved so much in the sample. We have been guilty of this on occasion, especially when we bring the kids. What I’ve found to be the key is to avoid the samples altogether. Not only will it drive up your bill, but could also hinder your desire to eat healthy in the case it’s some sort of snack or dessert. Do you really need a big screen TV or surround sound? Then what are you doing in that aisle when you are grocery shopping? Yes, Costco sometimes has great deals on electronics and big screen TVs, but that does not mean you should buy any of it. If it’s easy for you to get tempted by those shiny electronics, then stay away from them altogether. Once you start to calculate how cheap of a price you are getting on some of these goods, it’s easy to get carried away a little. While it is true that you are paying very little per pickle in that pickle jar, do you really think you can eat ten pounds of them in a reasonable amount of time? That’s also not to mention the fact that you may not need to eat 10 pounds of pickles! Chances are that some of those pickles will go bad, or will just be uneaten because you are so sick of them. The end result is any realized savings get thrown in the garbage. I hate food waste as it’s literally throwing money away. Costco often sends out coupons to their members. It takes very little effort for you to look through them and cut out the ones that you need. They even have an app you can use in the store if you don’t want to mess with the paper coupons. Due to the size of the items they sell, it’s quite often you can save a good bit of money. What are some of the ways you shop smart at Costco? What is the biggest size food item you have ever bought there? Do you ever eat lunch by showing up for the samples – come on, I know some of you have. A few years ago, we went through a big exercise and compared the unit costs on what we buy at Sam’s Club vs. what we buy at the grocery store and we created a master list of items that made more sense at Sam’s Club and those that didn’t. It was funny because there were a number of things we THOUGHT we were better off buying at Sam’s Club; however, after our analysis we changed up a bunch of things. Now we have our usual shopping list and that’s what we stick to because we know it has been vetted. I totally eat samples as lunch, haha. We normally go to Costco once every two weeks. We ALWAYS buy our toilet paper from there ($14.99 for 30 rolls…lasts forever!!) and some essential snack foods for our daughters. While I love Costco, I don’t normally like buying food in bulk. Most of it is frozen which I get sick of fast. We do like their lasagna, though. You are right though – do people really need 10 lbs of pickles?!?! If we know we’ll eat something, we’ll buy it, but usually I use coupons at the grocery store and stick to smaller quantities. Thanks for the insight!! We have as well. 🙂 We don’t like buying a whole lot of food in bulk either, but our Costco has started to carry a lot of organic produce which we eat quite a bit of. We have a list of things that are cheaper at Costco than other stores in the area, and we stick to the list. In practice, this means sticking the the left hand of the store (food, paper goods, pharmacy) and staying away from the center and right side of the store (consumer goods and clothes). Our list is so tight that we can do our monthly costco run in under 40 minutes. Including a samples run! The biggest winner for us? Dog food. We make back our membership fee on dog food savings alone. Nice work on the list and even better on the time and money savings! With changes to our diet we’ve moved to where we’re getting a majority of our food at Costco and thankfully it’s stuff that’s largely cheaper. In regards to the “other side” of the store, that’s a great point. Though, we’ve actually found that you can get some good deals on certain clothes. But, that again just goes back to comparing between what you’ll find elsewhere.